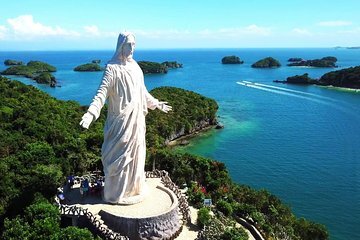 This day tour to the Hundred Islands is an ideal trip for travelers who want to go island-hopping in the Philippines but are short on time. You’ll start in the early hours of the morning so you can sleep on the way to Alominos and arrive fresh and ready for fun. Travel between numerous islands, enjoying relaxing and adventurous activities like swimming, kayaking, and even cliff-jumping. Your local guide will help you choose the right activities for you.